Here are some comments from people who have visited this website or purchased my Paper Airplane Calendar. Please send me any comments and suggestions you may have by e-mail. I was looking at your website, and I thought it was great! I am deeply in love with paper airplanes, and have been looking for a good website for weeks! 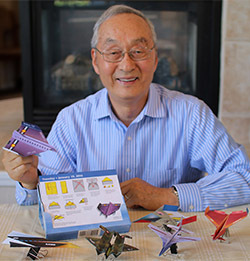 I am so happy I came across this, and this will help me make bigger, better paper airplanes. I would just like to thank you for making such a good, helpful website for youngsters like me to enjoy! My 4 year old son is obsessed with paper airplanes and loves your site and designs. And being an aircraft structural repair craftsman for the U.S. Air Force, I am enjoying making designs on aircraft I hold a high respect for. 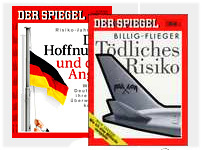 Thank you for what you have made available to us, and I will be looking forward to purchasing one of the plane a day calendars. then lead the parents to the web site for more family fun. I often send out blogs and newsletters giving parents ideas. I would love to put your web site in one of them as well. Please correspond to this e-mail with your permission if you will so I may proceed. Thank you very much what a wonderful web site you have! 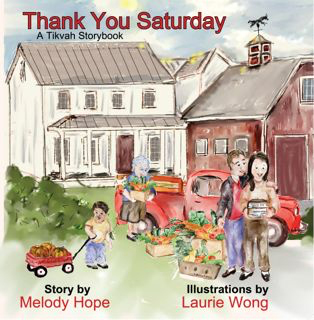 * To visit Tivah Publishing website and to get more info about 'Thank You Saturday', click HERE. I am just amazed at the ease of construction of your paper airplanes and the great use of Graphics to enhance the planes. I fly for 2 non-profit organizations, Pilots for Christ and Servant Air Ministries, Inc. providing mission and Angel Medical Flight transportation. We exhibit at many air shows to raise funds to support our flights. I often sit at the table and fold up paper airplanes for the kids as an attraction to draw in the parents. I would like to use your designs and print similar graphics (like the American Lung Association did) with our logos on them in place of some of your design features you use. I typically just give the planes away to the kids or, occasionally, will charge a quarter or 50 cents each (covering costs of printing, paper, etc.) when in specific fund raising events. May I have permission to use your designs and the graphics found on your web page for this purpose? Thanks for the opportunity to learn from you and share your folding (Origami) expertise. I am Sam from India and I happened to visit your website. 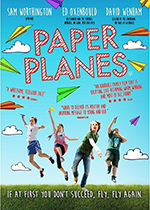 Its excellent and enhanced my knowledge about paper planes. I have now developed a hobby of making paper planes and you are the inspiration. Good luck . Keep up the good work. I'm Chris from Belgium. I was playing some harmo this afternoon and I visited your Youtube page. Congratulations for your playing. Then, on this stormy saturday afternoon, I visited your site about paper airplanes. 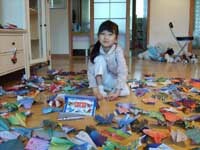 We spent our afternoon folding paper with my 7 years old Céline. I guess this was part of the moments she will remenber as an adult later, just thinking "My dad used to play with me when I was a child". I treasure these moments. I just wanted to thank you so much for this, Mr Lee. God bless you and your family. Best regards from Belgium, Europe. Sorry for my english, I am french native speaker. 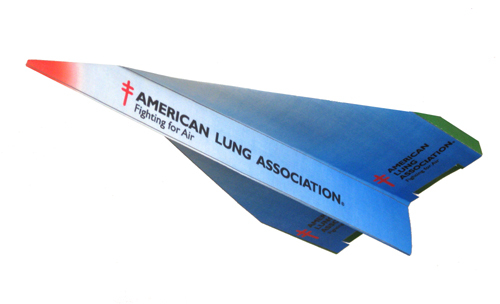 I wanted to write and extend my personal thanks for your assistance with preparing a version of your Delta Fighter paper airplane for the American Lung Association’s 2009 Annual Report. I folded up a printed copy and not only does it fly beautifully but everyone here thinks is really great to have a personalized plane. We’re sure our donors will enjoy it, too. and was truly amazed at the great instructions and illustrations. I am teaching a Preceptor Workshop for Mount Carmel Health System in Columbus, OH. Preceptors are people who know their area of expertise very well and are called upon to orient new employees to their respective departments (nursing, respiratory therapy, radiology, etc.). Teaching is something that they are not formally trained to do, so I teach the Preceptor Workshop to help give them some ideas about teaching. I would like to use some of your airplane folding instructions and patterned sheets for an activity in which the preceptors have to teach a group of people a skill (in this case, how to make a paper airplane). I noticed that your work is copyrighted, so I was wondering if you would give me permission to use your folding instructions and patterned sheets during my class. Please let me know. If you have any questions, my number is below or you can e-mail me. Thank you for your consideration. 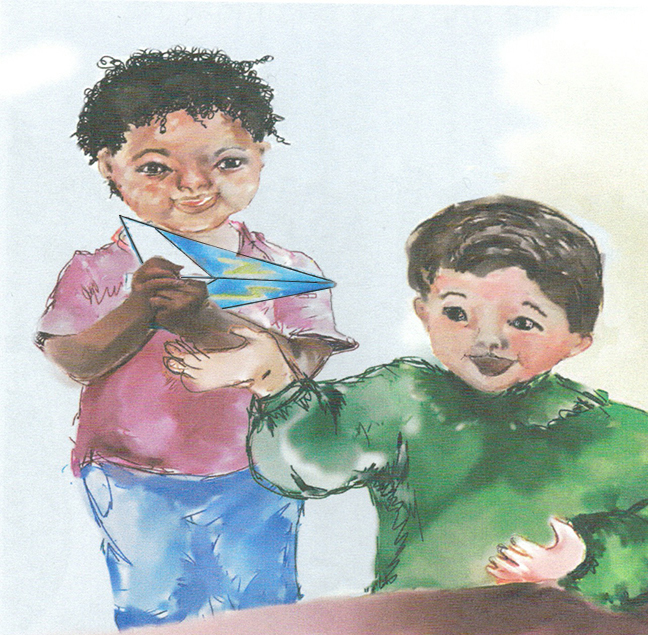 First of all, thank you for your terrific site ... we've had lots of fun with it and really enjoy both making the planes, looking through the gallery, and reading the background. I don't know if anyone else has had a problem, but we've tried to download the pattern for the Falcon Paper Plane several times but it will not open regardless of how we try to save or open it. It keeps telling us the file is corrupted. If you can take a look at what you've uploaded to see if there is a glitch, that would be great as we'd really like to try that design (and look forward to you uploading more patterns). I love your paper planes. I found your paper plane site one night when I was searching your calendar after my friend brought his to my house. Your 2007 page-a-day calendar was excellent. And the 2008 one was even better. But my favorite plane is the F-22 in the gallery. I just made one, and it flies great! But I had trouble understanding the instructions because I didn't have a pattern. It would be great if you could put a pattern for the F-22. Your F-15s and F-16s fly great too. And I made on out of ten pieces of paper taped together. But the paper was to flimsy. Then I made one out of the foam those dollar store plane are made of. It flew 63.52 feet in 12 seconds. I also suggest an F-14 with movable wings. I hope you post a F-22 pattern and design an F-14. I am ordering your 2008 calander book for my kids for Xmas! Please post more downloadable print patterns for the other designs! I’m putting together a gallery of paper airplanes for Popular Mechanics’ website. I’d like to use your site’s downloadable F-16 diagram to give my readers a little DIY project they can print off and fly. Given your permission, I would credit amazingpaperairplanes.com as the source, and link to your site. What do you think? Is that the best diagram to borrow, or is there one with more universal appeal? The paper airplane collection in this photo is Hee-Kyoung's #1 Treasure. She loves your Fold-A-Day Calendar so much and folded all by herself. Thank you so much for putting your instructions of how to make paper airplanes on the net. I wanted to make a lot of F-117A's for my son's birthday. His father worked in the Skunk Works. We lost him in 2004 and my son has since become more interested in his father's life. The more planes I made, the better I got. I preprinted the "F-117A" markings on the 81/2 X 11 sheets which added a little pizzazz. Webmaster's Note: "Skunk Works" is Lockheed Martin's Advanced Development Programs. This secret project was responsible for a number of famous aircraft designs such as U2 and F-117. I discovered your website today and was greatly impressed with your airplane designs and tried out several of the designs off of the website with great results. I am an engineering student at the University of Texas at Austin and am a member of the Student Engineering Council and have been tasked with creating a daily planner that we distribute for free to all incoming freshmen. The planner includes information about the College, Calendar dates, and puzzles, jokes, and other odds and ends to occupy students when they're bored. I was wondering if I could include the designs from your website (particularly the Delta Fighter, the F-15 Eagle, the Nighthawk) in the planner. I would, of course, credit you, include their copyright information and provide a link to your website.